Archive by Category "Oil Change"
An oil change for Longmont residents is quite a simple service to get. Nevertheless, if it is done on a regular basis, it can have a huge effect on one’s engine, helping it last longer, and improve its performance. The issue is that most individuals don’t know what signs to watch out for, telling them that their oil needs changing. Rather, they look at the car mileage and use that as an indicator. While this works in many cases, there are instances where the car mileage isn’t the only or best indicator, resulting in one driving his or her car without changing the oil way longer than they should. To prevent this, it helps to know what signs to watch out for. When the oil is clean, its color is amber. As time passes, it becomes darker and darker in color, gathering different particles from the engine. It’s hard to guess when an oil’s color will start to change, which is why it’s a good idea to check the level and color monthly. If one notices that the liquid has started to become darker and thicker, it’s time to schedule an oil change with a trusted Longmont service center. When the oil is clean, it works as a barrier between different pieces of the engine, ensuring there is no direct contact between them. When it starts to have issues, the barrier it provides isn’t as efficient, which leads to the engine producing louder noises than normal. If the oil has reached a low level, there should be an indicator that lights up to notify the driver. If one sees it, they should immediately check the level, and if it is indeed low, schedule an oil change in Longmont as soon as possible. If one’s car has been running on low to empty, the check engine light may light up, letting the driver know that they risk their engine being damaged. If it is cold outside, seeing a vapour that’s translucent coming from the tailpipe is no big deal. However, if smoke is coming out of it, then it may be a sign that there is an oil leak in the engine. In addition, smoke may also be a sign that there are parts of the engine that are not working as they should. If one can smell oil in their car, it is either indicative of a leak, or that the car is overheating, which leads to its oil burning in the exhaust zone. Oil change should not be treated lightly since despite being a very simple procedure, it can lead to many benefits. Your car is an investment. Regular preventative maintenance is one of the best ways that drivers can keep their vehicle running smoothly and prolong its longevity. This will help save you time and money in the long-run, since you will be able to identify and prevent costly damage before it occurs. However, keeping up with regular tune-ups is easier said than done. If you’re not a natural-born mechanic, here is a list of the most common car maintenance mistakes to avoid. Having regular oil changes in Longmont is one of the most crucial car maintenance tasks. Oil keeps your engine lubricated and helps siphon away heat, reducing the likelihood of damage or overheating. While the general rule of thumb used to be having a replacement done every 3,000 miles, drivers can now go anywhere from 5,000 to 7,500 miles before needing to have an oil change done. Are your brakes making an annoying squeaking or grinding sound? Don’t just raise the radio volume and hope it goes away. Your brakes are an important part of your vehicle’s safety features, and these strange sounds are often a sign that your brake pads are worn. Another common sign is a brake pedal that feels spongy or takes too long to engage when you press down. Even if the sign of trouble isn’t immediately obvious, there’s a reason why your check engine light is on. While this can sometimes be due to a bad sensor, there might be something else amiss with your vehicle. Having your light checked is quick and easy, but waiting can result in expensive issues down the road that could have been avoided. Though it might seem convenient, never use home glass cleaner on your vehicle’s rear windshield. These products often contain ammonia, which can deteriorate the thin red wires that are responsible for defrosting your glass. Instead, use a product specifically formulated for auto glass. Though motor oil is the lifeline of your vehicle, it’s not the only fluid that needs to be checked and replaced regularly. Your engine coolant, brake fluid, power steering fluid, and transmission fluid all need to be checked, replaced, and/or topped off regularly. Each fluid has its own respective reservoir under your engine hood that will let you see where your current levels are. One of the best measures to prolong the lifespan of your car and its engine is to perform regular oil changes. Keep in mind that the oil in your car is like the lifeblood of the vehicle. If it isn’t changed regularly, there can be debris in the oil that can block several parts of the engine and cause it to fail. The great thing is, a regular oil change is easy to do, especially with the assistance of a trusted car service facility in Longmont, Co. The oil change can be done as part of regular maintenance. Therefore, you don’t need to take extra time off to do this because it can be done alongside other maintenance checks. Experienced mechanics will recommend getting your oil changed when you have driven about 3,000 miles or when three months have passed, whichever comes first. Still, with the use of high-performance oil, this can be prolonged and timing can be extended. To further appreciate why you should do regular oil changes, here are the benefits of doing so. Clean oil guarantees that your engine is in top shape. When you change the oil regularly, it guarantees that there is no debris in the oil that goes around the engine. The debris can cause blockage in the engine, which can lead to it performing poorly. Worse, the engine can fail when oil is not changed immediately. When your car’s engine is in top shape, it allows you to drive optimally with the best fuel economy. Hence, you don’t waste any fuel and get your money’s worth every time you top up. Pristine oil is debris-free, which means there is no debris build-up inside the engine. Imagine the engine is like the heart: if there is debris or plaque in the arteries, it can be fatal. This is the same with the car; if the engine is blocked, the car will fail. It will be costly to repair it if there is even still a chance to revive it. It will be more expensive to buy a new one when this could have been avoided with a regular oil change. As mentioned before, if the oil is clean, the engine performs at its best. Hence, you get the best fuel economy. You get a lot of drive with every gallon of fuel. With clean oil, your car doesn’t produce any harmful emissions. In a way, you don’t contribute in polluting the air around simply by changing your oil regularly. It is expensive to buy a new car so as much as possible you want to extend the life of your existing vehicle. With just a simple regular oil change, you can do this and add more years to your car’s life. Almost every feature on a vehicle has a warning light to let the driver know that something has gone wrong, and the amount of lubrication in the engine is no different. If the warning light for this comes on, it’s crucial to stop the vehicle as soon as possible and check the level. If necessary, add as a low level can be extremely dangerous for the moving parts of the engine. Running the car with a low lubrication level can put an individual at risk of seizing up the entire engine block, so it’s important to take these warning lights seriously. When checking the lubrication levels, if one finds that the liquid looks dirty, brown, and is difficult to see through, it is definitely time for swapping out the old for new. This can be done in a home garage if an individual knows how, and if not, one can make an appointment to have the vehicle serviced at a quick lube station. The visual appearance of the liquid is an easy way to tell that it’s time to make an overdue service appointment. When one gets to the point that the levels of lubrication are actually lower than they should be in the engine, the parts may begin to rattle or make extra noise as the vehicle runs. If an individual hears the engine making more noise than it usually does when they drive it, it’s likely a sign that the vehicle is badly in need of servicing. These appointments are extremely important and neglecting them can cause the vehicle to completely stop running, so it’s crucial to not miss them or put them off. Doing so for too long can actually be quite dangerous. When a vehicle’s exhaust begins smoking, it can be quite alarming. However, it’s often simply a sign that the oil in the vehicle desperately needs to be changed and that one needs to make an appointment as soon as possible. Instead of panicking, a driver should call the service station that they usually use and make an appointment to have their vehicle fully serviced. It’s fairly easy to get an oil change in Longmont, even if the vehicle is overdue. All a person needs to do is to call a service provider and schedule an appointment, although they may want to let the mechanics know that it’s been a while since the car was last serviced. Having a vehicle regularly serviced and lubed keeps engine parts moving smoothly over one another so that they don’t snag on one another or jam. Without this critical component, pieces of the engine can lock up and the entire thing can seize, leading to the car not working at all. This makes it crucially important that car owners take the time to regularly schedule service for their car and ensure that the vehicle is thoroughly lubricated at all times. Taking the time to perform regular service on the engine also helps keep parts at the appropriate temperature so that nothing overheats, and cools parts that are too warm. The correct products can help ensure that the car or truck engine parts are maintained at the right temperature so that an individual doesn’t ever have to worry about the engine fully overheating. Otherwise, they run the risk of things overheating and locking up, causing serious issues. 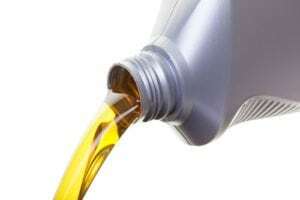 Lubricant also washes away sludge and any tiny particles that have scraped loose as engine parts rub together as it circulates through the engine. This lets it serve as a cleaning fluid, removing dirt and debris as it moves around the inner workings of the car. It’s essential to keep these tiny pieces from the vehicle, and the lubricant ensures that it happens regularly and that nothing gets backed up or jammed up with dirt. Lubricant helps keep parts clean, smooth, and shiny so that everything runs just the way it is supposed to. Lubing engine parts also works to promote overall health and longevity of all of the engine parts so that they stand up longer and the vehicle lasts longer. Keeping a car, truck, or SUV carefully maintained means that it will likely be able to run for more miles, so if one is attached to a vehicle, it only makes sense to take good care of it. Those who are interested in taking excellent care of their ride should schedule it for regular maintenance appointments and a regular oil change in Longmont, CO. These appointments will help keep it running well for years to come, so that one can enjoy driving their favorite model around town for as long as they’d like. Unless you own a house, your car is probably the biggest investment in your life. Even if you own a car that has a lot of miles on the odometer, it’s still important to protect your investment, and that means taking care of your car. Like humans, cars can get by without paying much attention to them, but quickly start to deteriorate when neglected. There are little things you can do, like wash your car regularly to protect the paint from salt in winter, and big things you can do, like have your transmission flushed every few years. Arguably the most important thing you can do for your car is to get regular oil changes. When you mention oil changes, some people immediately roll their eyes and don’t think it applies to them, but oil changes don’t take much time, and the expense is worth it compared to the damage that can happen when it goes neglected. In the modern era, most service centers can complete an oil change and basic check-up in just minutes. Don’t make excuses, and make a regular oil change if you want to keep your car in proper working order. Oil has two important jobs. It lubricates engine parts and reduces friction—there are a lot of moving parts, after all. Oil’s other function is to draw heat away from the engine. Over time, when you neglect your oil change, you’ll start to notice a drop in performance. Your engine will sound slower, and even start chugging. Oil get thick, as it starts to collect debris, and becomes much less effective, causing poor performance. When you continue to ignore its cries for help, engine parts can start to warp or wear down. Worst of all, when ignored long-term, it can lead to total engine failure. Total. Meaning the whole engine would need to be replaced. All you have to do is a quick Google search for nightmare scenarios and you’ll get tons of testimonials in favor of oil changes. This is a topic of debate, and one some people actually feel passionately about. The old rule, and one you’ve probably heard from a car lover in your life, is that you should get an oil change every 3,000 miles. However, it really depends on your car and the type of oil you use. Synthetic oil needs replacing almost half as frequently as natural oil. City drivers need more frequent oil changes than highway drivers. Check your owner’s manual. Residents of Longmont, CO need to take every care to stay on top of regular car care and maintenance, including a regular oil change. However, there’s a lot more to proper car care than just an oil change. Talk to your service care center today to talk about what other regular maintenance you’ll need for your car, like tune-ups and tire rotations. Viscosity refers to the thickness of the oil, which fluctuates as it heats and cools. Motor oil viscosity is rated at 0°F (marked with “W” for “winter”) and 212°F. oil, for example, has a lower viscosity than 20W-50 oil, in both heat and cold. For use in the winter, 5W oil is recommended. are also synthetic/organic blends that have their own benefits. opposed to thinning as the oil heats up. this, the engine can start to lose some of its performance. other additives may affect fuel economy. miles or even every 7,500 miles. what’s recommended for your specific vehicle. can drive in confident that you’re getting exactly what your car needs. 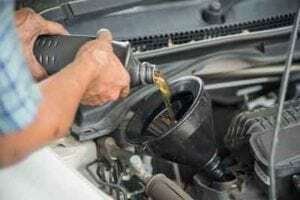 Any car owner will say that changing the oil is important – but do they know why? What usually ends up happening is that car owners think their oil will just be okay for a while. They keep telling themselves that until something goes wrong, and then they finally go about fixing it. It’s a similar attitude that many people have with their health: if nothing is going seriously wrong, why go in for a check-up? The problem with this attitude to car maintenance is that it actually destroys the car at a much faster rate than if oil changes were done regularly. Most car mechanics in Longmont will say that an oil change is required every 3,000 miles, while an air conditioning service is not as urgent. The Engine Needs Clean Oil. This is the most important reason to get an oil change. Imagine a human body that had blood seeping through its veins that gradually became dirty and clogged up. The body would not operate well if the blood was not flowing everywhere it needed to, right? This is exactly what happens to a car that has not had an oil change. The oil picks up debris from the internal organs of the vehicle and drags it around as it tries to reach every compartment of the vehicle. Naturally, the car will begin to run more poorly and eventually die. The Engine Will Stay Strong. This debris that collects in oil will cause damage to the engine if left untreated for too long. Lubrication is integral for the engine to start smoothly and operate without any hitches. The engine obviously operates at a very hot temperature, and without the proper lubrication, this heat will cause degradation of all component parts. It goes without saying that engine damage is incredibly costly and should be avoided at all costs. Changing the oil on a regular basis can literally add years of life to the engine of the car. Better Fuel Efficiency. The logic of this is quite simple: the cleaner the oil is, the easier it is for the car to run, therefore the less fuel it has to burn just to get to work and back. This saves money on gas and limits (though only slightly) a number of emissions being sent into the atmosphere. There is also the practical concern of passing emissions tests to consider. These are only a few of the many reasons why getting an oil change is an integral part of car maintenance.